1973 reprint edition by Unigraphic, Inc. Note: We also offer this same book in searchable PDF format on our Madison County, Indiana CD. 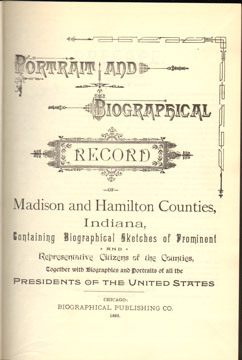 See the Madison County, Indiana CD for a complete description including a full list of the biographies that are included in this book.